Home | Events | Kensium is proud to be an ISO 27001 ; 2005 Certified Organization!!! 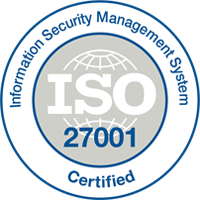 Kensium is now a ISO 27001 : 2005 Certified organization for the Implementation of ISMS for Software Development, Technology Infrastructure Management and Independent Testing of Software Products & Applications. The certification has been done by JAS- ANZ, Australia.